Welcome back to The Everyday Spruce! So. 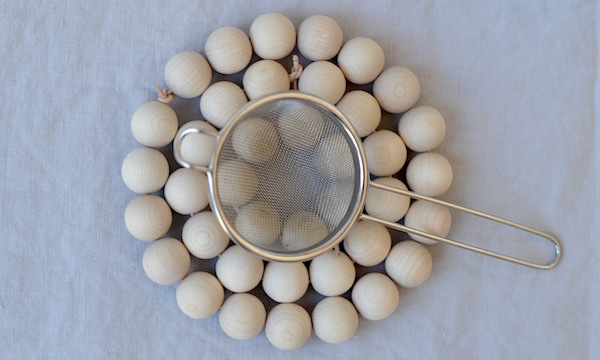 I’m totally easing myself back in to the project with this simple make which creates a really lovely & useful item for your home – a wooden bead trivet. And what I love about it most (apart from the fact that it’s so easy!) 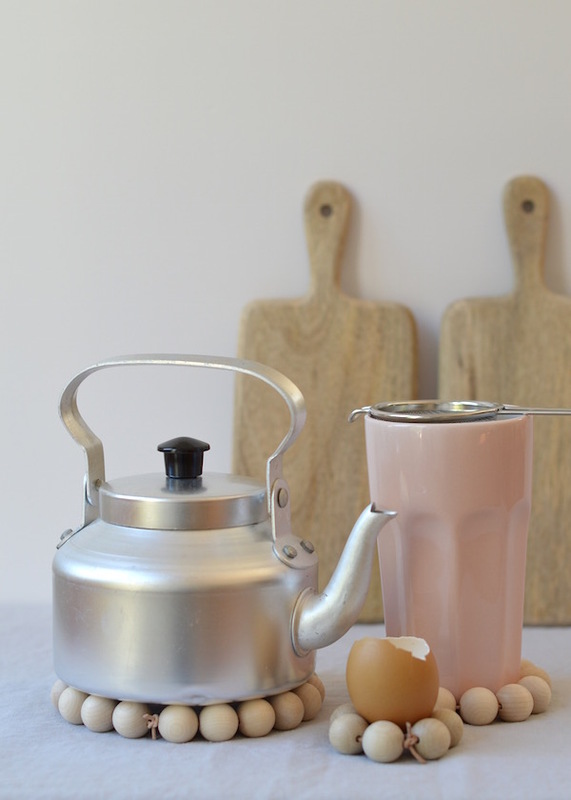 is that it has more than one use – as well as looking pretty combined, each set can also be used individually as trivet, coaster & egg cup. Thread your beads onto the cord, tie in a tight double knot to secure, & cut cord (not too short, or the knot may unravel). 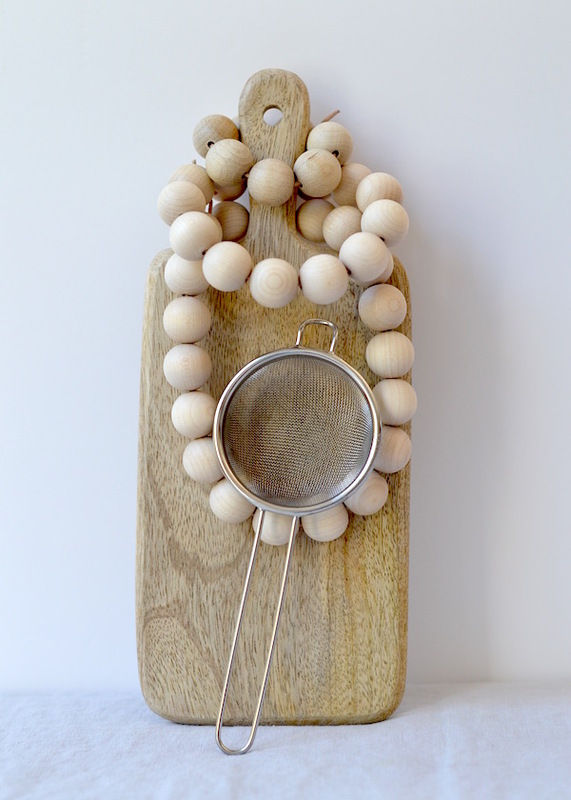 Each set should then fit neatly inside each other to create the one trivet, or they can be used & hung separately. 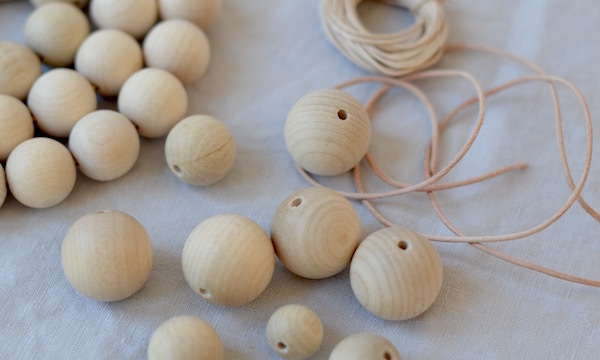 They look so lovely just hanging – a touch of simple, rustic nordic style – always a bonus in my books. And now onto our updates…I’ve really enjoyed how this project has kept me motivated. Not just to get on with things I’ve wanted to do in the house, but to think outside the box of home, DIY and making too. It’s also about simple ideas that just help make life a little easier, better, and yes, sometimes nicer to look at too: for ourselves, our habits, and our environments. Heather & I have always wanted to encourage & develop the community aspect of The Everyday Spruce project. It is, after all, the heart of why we’re here. We’ve so loved seeing your blog posts pop up here & there (which you can find on our Pinterest board – shout if we’ve missed yours), and also, how differently you interpret our theory of sprucing across IG. We’re looking to develop that further by sharing our monthly themes via email and encouraging you to really get involved and publish an Everyday Spruce post. There’s no pressure as to which month you join in – it could be just those that resonate with you, or you could take on the challenge every month. It’s totally up to you (as you can probably tell, we know first hand how precious time can be & how the realities of life can take precedence). We’ll also be sharing those themes on IG to offer a little focus, and maybe…MAAaYBEee…at some point, wouldn’t a gathering be lovely? #TheEverydaySpruce is a collaborative project created by myself & Heather (Growing Spaces) aimed to inspire & encourage simplification, clarification & beautification for you, your home & your daily routine. To join in…simply use #theeverydayspruce to share your sprucing stories, ideas & tips on IG, or contact us to join the monthly theme mailing list for blog posts. Oh. I. Love. This. 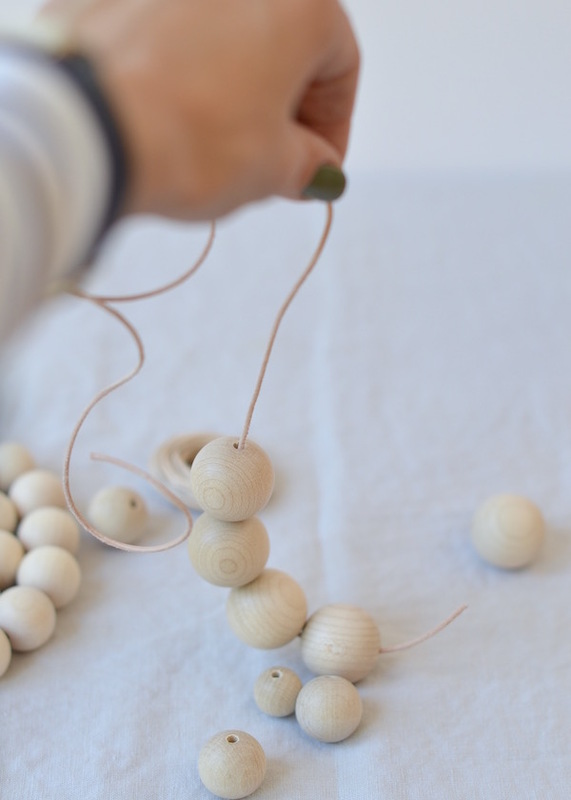 I am going to try this…I have a stash of these beads too. Thanks…so glad to have ‘found’ you! !